There you are trying to relax and enjoy your favorite TV show when you hear it: the distinctive sound of licking. And not just any licking — the indescribably scratchy sound made when your dog’s tongue runs repeatedly across his paw pad. What gives? 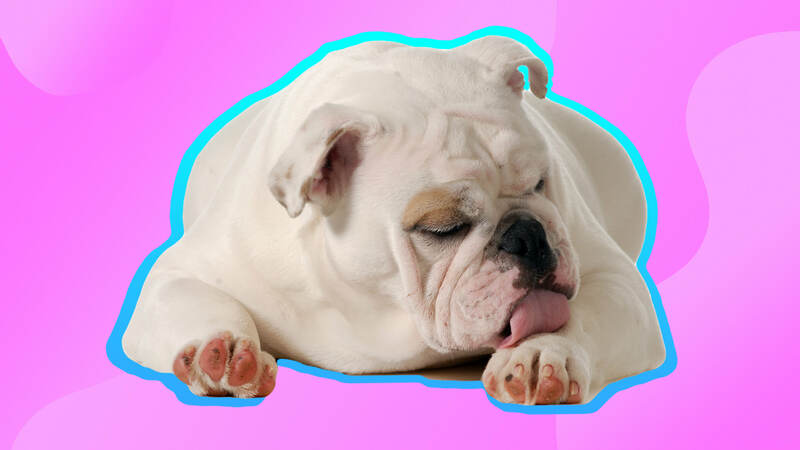 It can’t taste very good, so why do dogs lick their paws? And more pointedly, is it something you should be concerned about? In a word, yes. Any change in your dog’s behavior or habit that seems excessive and/or compulsive is worth mentioning to your veterinarian to rule out any serious underlying condition. They will also want to pinpoint whether your dog is dealing with a behavioral or medical condition. If you’re curious in the meantime as to some of the common causes of paw-licking in pups, the culprit could be any number of things. However, according to veterinarian Doug Metzler, the most common cause is allergies. Metzler notes that the only truly effective way to deal with atopy is to avoid allergens, but then you’d basically have to force your dog to live in a bubble. Instead, Metzler recommends bathing your dog at least once a week, using hypoallergenic baby wipes and even considering an Epsom salt soak. If the itching doesn’t respond or seems to get worse, it’s definitely time for a vet visit to determine the best course of treatment. More: Why Do Dogs Eat Grass? If none of these conditions seem to apply, it’s possible your pup has taken up this slobbery pastime for behavioral reasons — think anxiety, boredom or OCD. Just as there are treatment options available for dealing with medical issues, behavioral modification can help with those that are nonmedical. Yes, it takes time, it takes money, and it takes patience. But it can dramatically improve your dog’s mental and physical well-being when their paw-licking has gotten out of control. So, all in all, worth the effort and investment, right?